There are a few places in the world that can satisfy our cravings for paradise, and the Maldives is definitely on top of that list. Pristine white sand beaches, crystal clear turquoise waters, and a diverse marine ecosystem make the Maldives the stuff dreams are made of. We all know that the Maldives is one of the most beautiful places in the world, but there are a few surprising things we still don’t know about this South Asian island nation. 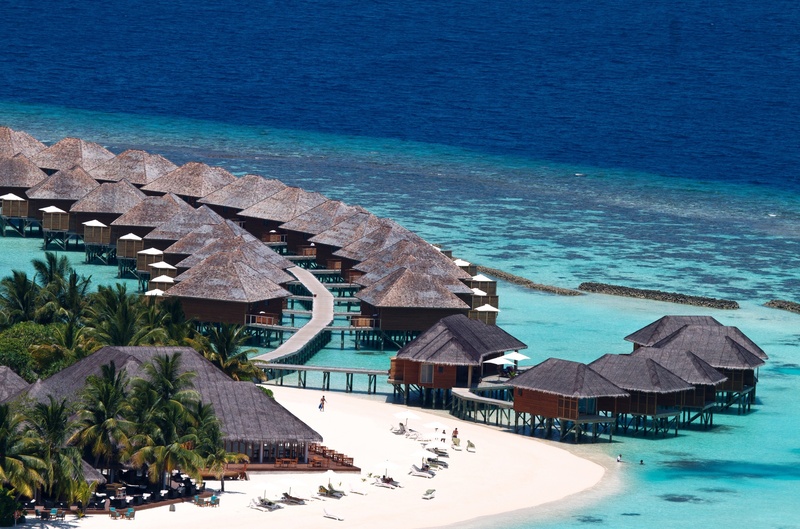 So if you’re gearing up for an awesome Maldivian holiday, here are some things you didn’t know about the Maldives. Say what? This means that the highest point that can be found in the Maldives is considered to be the lowest point in the world! The maximum elevation is 2.4 metres or less than 8 feet above sea level. So if you’re not fond of climbing up mountains and hills or getting altitude sickness then you can just easily spread some blankets and relax under the Maldivian sun. Unfortunately, this also means that the island nation is in danger of being devoured by the rising sea levels caused by climate change. The Maldives is a 100% Muslim country, and so there are certain restrictions you should know about. Alcohol is not allowed in the country, you can’t bring them in the country as well, even if it’s duty free. Other restrictions are public displays of affection and women wearing clothes that expose the knees, elbows, and shoulders. But don’t worry because resorts are exceptions to these local laws, you are free to do all these in a resort island. However, if you plan on going to a local island, you are expected to follow local laws and customs. We’ve all had that fantasy of whisking ourselves away to some remote island, away from the hustle and bustle of city life. Well, it’s actually quite possible in the Maldives since all resorts are on its own private island. This means that you’ll have to choose which resort you will go to because you’re far from the kind of entertainment hubs you’re used to like movie theatres or malls. 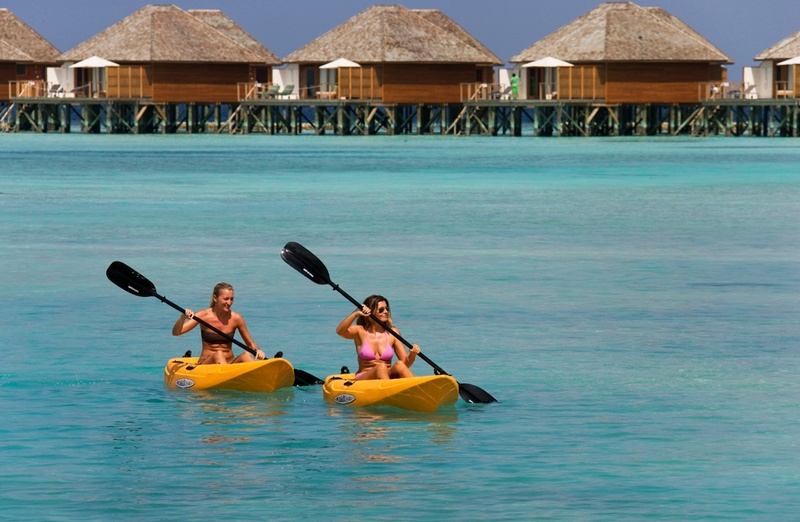 Vakarufalhi Island Resort is one of the best deluxe island resorts in the Maldives. Located at the South Ari Atoll, it is the perfect place to discover the undersea wonders of the islands and swim with its diverse marine ecosystem. Each of its villas are well-appointed and have a breathtaking view of the beach or the Indian Ocean, you will quite literally wake up to the sound of the waves and swaying coconut palms. While in some countries, you are expected to dip into your wallet another time to leave a tip, it is not the case in the Maldives. There is a 10% surcharge added to everything, and so tipping is mostly not required. However, it is still customary to give tips to your room attendant as they will most likely be the same person during your whole stay. With 1,1921 coral islands across 400 km of sea and more than a hundred island resorts, there is still so much to see and enjoy doing in the Maldives. So grab those snorkels and get that beach hat out of its box, it’s time to have a Maldivian holiday treat in an island nation paradise. Previous Give Mom the Royal Treatment This Mother’s Day!